I was driving to the dog park this morning, as my boss (six-month-old Molly) demands I do every morning. Usually, I listen to CNBC on my XM radio or listen to a Puddles Pity Party song on my 5-minute drive (really digging 'Under Pressure/Let it Go' mashup this week on YouTube if you’re a P3 fan). Every once in a while, I put on the XM fantasy channel though. I know I shouldn’t because it always gives me an aneurysm. Sometimes I just like to torture myself. I like to listen to what THEY are talking about in the mainstream, so it's covert ops homework but honestly, I cannot do more than a few minutes before I'm swearing out loud in my car while my dog looks at me like "What did I do wrong? I don’t like DeVante Parker either!" So, I'm listening this morning to a radio host who literally has never been wrong about anything. He thought everything was going to happen about the way it has been happening…or he was close enough. The subject of Dak Prescott came up and I nearly drove into a ditch. Two weeks ago, after Week 1 going to 'at Denver', THEY all said this would be a great test to see if Dak had 'it'…because they all think he has to regress for 2017. It's a must on the regression. THEY've been saying it for 6+ months now. Then Denver beat Dallas punitively and THEY all crowed that Dak wasn't ready for the big time. Then the MNF game happens a week later…and Dak is great – and now everyone is onboard suddenly…including the guy who is never wrong about everything and saw everything coming on the radio. He has now endorsed Dak as being good. Whoopity Do. Glad he finally got your full endorsement. This follows Colin Cowherd leading his TUE show telling everyone Dak is better than he expected and is one of the potential greats now. Which follows every clip of every show I happened to catch on radio or TV Tuesday into Wednesday saying the same exact thing – for six months THEY all said 'regression'. Last week, they said: "Not ready for the big time." One week later, "We love Dak…he proved it to me last week!" This is how you can tell the mainstream has literally no idea on scouting and/or identifying talent. There is no way anyone can go from 'regression' (all in unison) to 'not ready' (all in unison) to 'he's great' (all in unison) by looking at two weeks of games. It was disingenuous of THEM to hit Dak for an 'at Denver' loss because that's a tough defense. It's even sillier to abandon all THEIR beliefs because THEY happened to watch Monday Night Football versus Game of Thrones and got excited because Dak had a good game in front of THEIR eyes…against awful Arizona. Dak completed 13 passes for 183 yards against porous Arizona and now six months of THEIR wide held beliefs are erased. It's unbelievable. 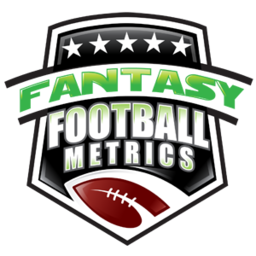 Dynasty Stash reports will be starting soon for 2017, FYI! Our biggest, boldest Dynasty Stash ever. Some of THEM are even waking up to another reality – the Dallas Cowboys are legit Super Bowl contenders. Colin Cowherd is starting to realize it too. If anyone watched this game for study purposes, for those who it is their job, they would have seen the 'it' I was talking about this summer – it’s not the Dak 'it' but the defensive talent that Dallas has been acquiring. Everyone banged them for no pass rush and a young secondary all year. This game proved they have a great pass rush and that young secondary is good…and is going to be great as the season unfolds. Elite QB. Elite O-Line. Great pass rush. Emerging secondary. Does anyone want to dispute my May-August 2017 Cowboys Super Bowl prediction now? I'm not pleased with myself on the Cowboys because they won, and this is the type game great teams must win – on the road, hostile MNF crowd, coming off a tough loss to a physical team. All though all those things are true and this was a title team kinda win…rallying from haymakers early on and wresting dominance away from the home team/crowd like a true champ. No. I'm pleased with myself for understanding the scouting of this – I saw the D-Line and DB greatness emerging when no one else in this sport did. I like being right. I like being right when every single man, woman, and child had the opposite view. Dallas has the best team in football and looks like they're on a collision course with Denver for the Super Bowl if I had to predict it today. Arizona is on their way to Bruce Arians retiring for health reasons at the end of the season and after a 5-11 campaign. Never getting blame for the mess he's created. -- I need to first apologize to Larry Fitzgerald (13-149-1/15). Every time I try to bury him he smacks me in the face. Him and Frank Gore. Fitz is still good but Palmer is having issues…however, Palmer looked his best in 2017 against Dallas in this one. Granted, Dallas was missing several DBs…but still…Fitz is still magic. -- How about Byron Jones (6 tackles, 2 PDs)? A guy that 100 of 100 football experts would not take for their football team if given the choice between him and Tyrann Mathieu (4 tackles), but I would argue Jones is one of the 10 best defensive players in the league right now…and Mathieu may not be in the top 100. Jones was covering Fitzgerald at certain points. Jones covered the TE regularly. He also made a big pass defense on their goal-line stand late. He is marvelous. If only he went to the SEC for college, then we could appreciate him. Jones with rookies Chidobe Awuzie (NDP) and Jourdan Lewis (6 tackles, 1 TFL, 1 PD), plus talented 2nd-year CB Anthony Brown…this unit is going to gell into a top secondary, and when they do…combined with the emerging D-Line – then Dallas will also have a top defense to go along with their top offense. Dallas is building the greatest war machine in football right under everyone's noses…except me, who has been pointing it out since last season – and even I missed what real Dallas GM Will McClay was doing with some of his picks I disagreed with but now see I was wrong and he was right. Only Brady-Rodgers can topple them in the end. Those two opposition QBs and Dez Bryant are their only stumbling blocks to getting Jerry Jones his title. -- I don’t think we're too far away from Ryan Switzer (1-3-0) becoming a factor for Dallas either. Cole Beasley (1-4-0/1) has been nothing in 2017. Beasley played 53% of the snaps in the crucial game and is averaging 3.7 catches (4.7 targets) and 23.0 yards with 0.0 TDs this season. Switzer is the better Beasley. Switzer lined up in the backfield for one of his two snaps in the game and took a hand-off…so, they're thinking properly on how to use Switzer. It's just a matter of time. -- Ezekiel Elliott (22-80-1, 3-14-0/4) in the two games not against Denver this year – 23.0 carries for 92.0 yards rushing per game and 0.50 TDs (4.00 ypc). Nothing special. Nothing special behind a great O-Line. Soon, Elliott may be gone for a six-week vacation. If Elliott is gone, I don’t think anyone knows how the touches will go. I wouldn't rule out Dallas trading for an RB either (Matt Forte). -- JaRon Brown (2-27-1/6) is a really good-looking, professional WR. He had one TD and had another called back due to penalty. I don't know if he can star on this current Arizona offense but business is picking up for him. 3.0 rec. (8.5 targets) for 50.0 yards and 0.50 TDs the past two weeks. -- Carson Palmer has thrown for 325+ yards in each of his last two games…out of desperation and opponent. Indy and Dallas both ravaged with injuries in the secondary. SF-PHI-TB the next three weeks is really not bad at all. Palmer has looked poor but offset by his team needing to throw all the time, with no run game, versus weak pass defenses. He could work in a pinch next 3 weeks. -- Andre Ellington (5-22-0, 5-59-0/8) had a nice stat line and has some potential as an RB3 in this offense because someone has to, but much of his work came later in the game in the scramble to come back. Simple passes to him in soft coverage. Chris Johnson has been so bad, Ellington my see 10+ carries and 5+ targets per game ahead out of necessity. -- Rookie Hasson Reddick (1 tackle) is not impressing me at all in his transition to ILB – one solo tackle in each of his last two games, playing as the starter. How is that possible from a starting ILB? -- Markus Golden (3 tackles) was a sack machine last season…he has 0.0 in the first three games this season.